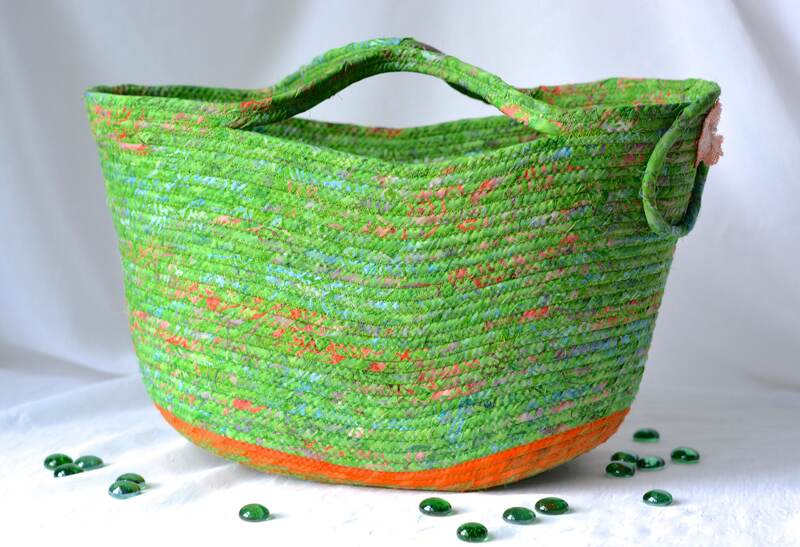 Gorgeous Green Batik Rope Basket! .........FREE Shipping to USA!!! ....Handmade in USA! 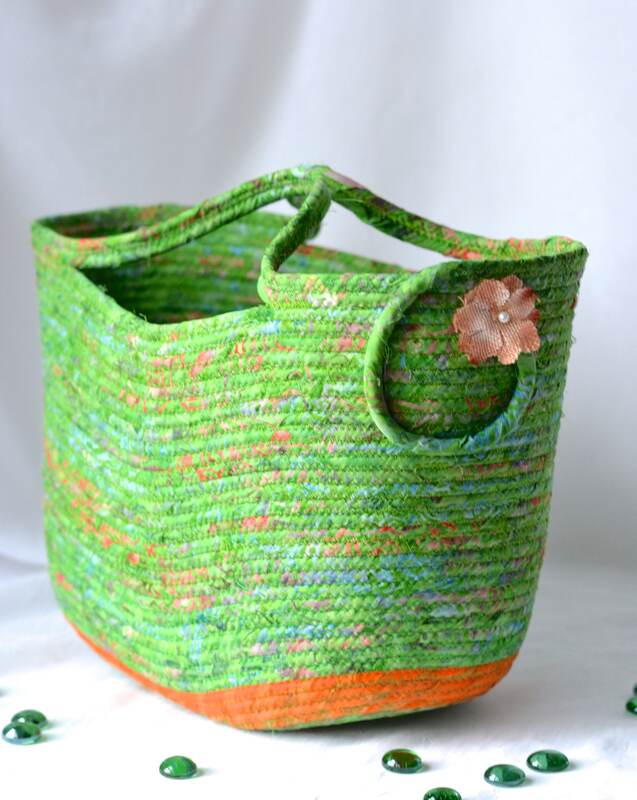 Textile Art Basket! 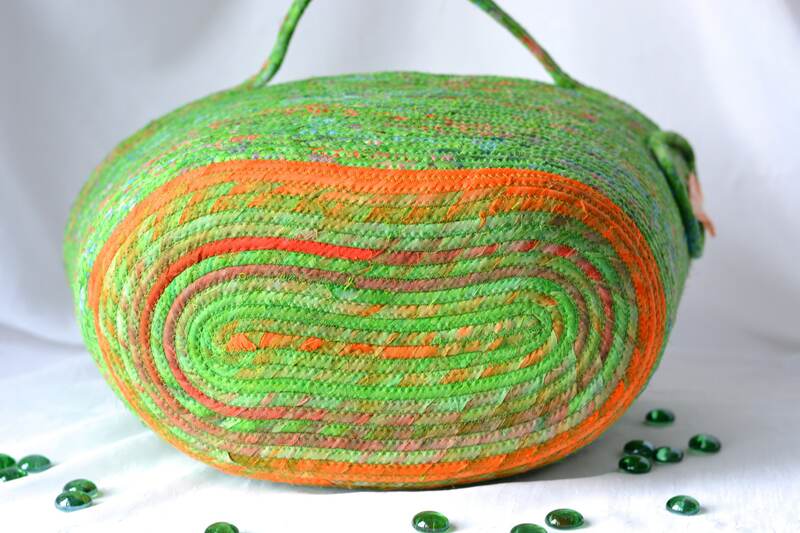 Lovely Green and rustic Orange Home Decor! I hand wrapped this rich batik fabric around cotton line, which I then hand coiled and machine quilted to make it sturdy. I used the raw edge technique with a little fray. It is a high quality 100% cotton fabric and it shows on the inside of this lovely bed too! I added a beautiful orange batik fabric to the base for a nice contrast accent. Both are 100% cotton batik fabrics. 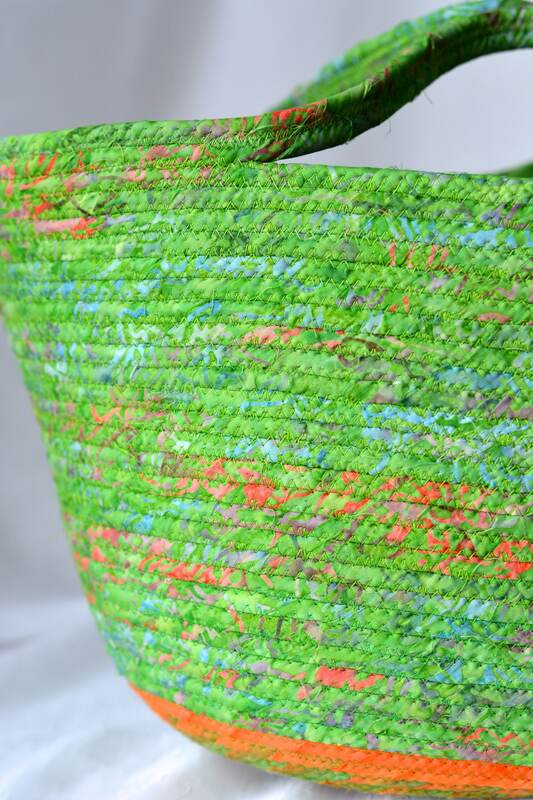 I just love this rich green batik fabric with the orange, pink, purple, blue and red highlights! The pattern created is so unique! Both lovely batik fabrics were hand made in Indonesia, using wax resist patterns, which is very labor intensive. The results are gorgeous! The pretty flower on the basket is included for a nice accent. 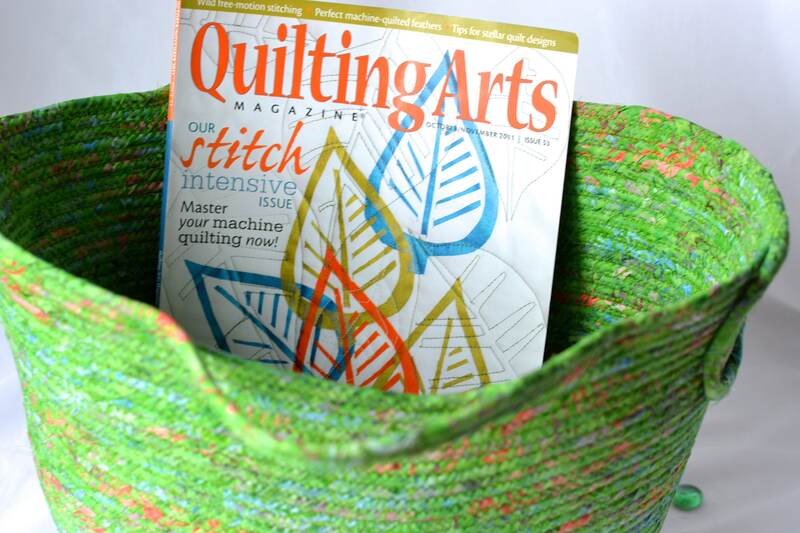 Please see picture with the magazine to help gauge the basket/bed size. Hand washable on gentle, separately, with cold water, reform and air dry only. I designed and created this lovely pet bed in my smoke-free home studio.